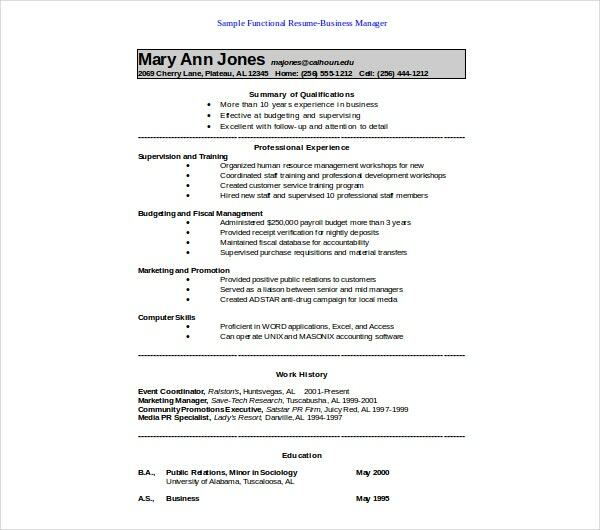 Resumes, in general, are tools for merchandising yourself to employers like trade or buying and selling of goods. Variations in resumes are influenced by the individuals involved. For a teenager who is looking for a summer job, a summer job resume is applicable. 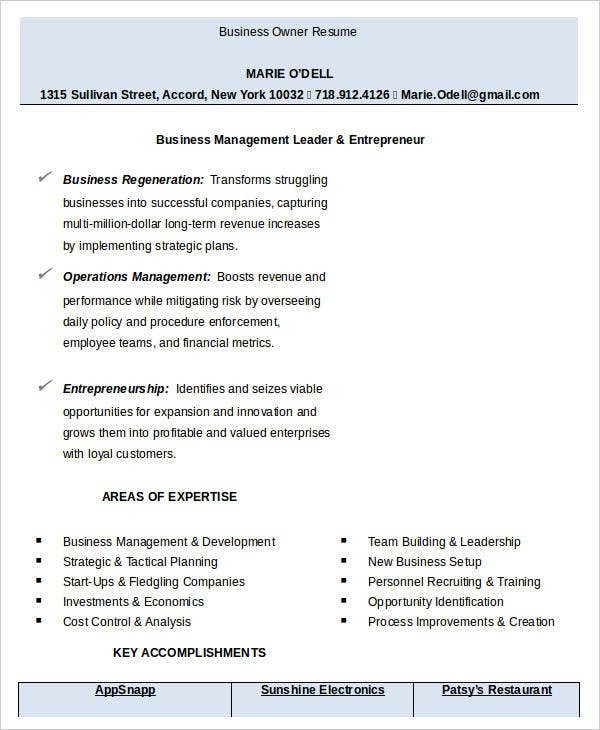 A resume with the specified expertise background and skills of a business professional is called a business resume. 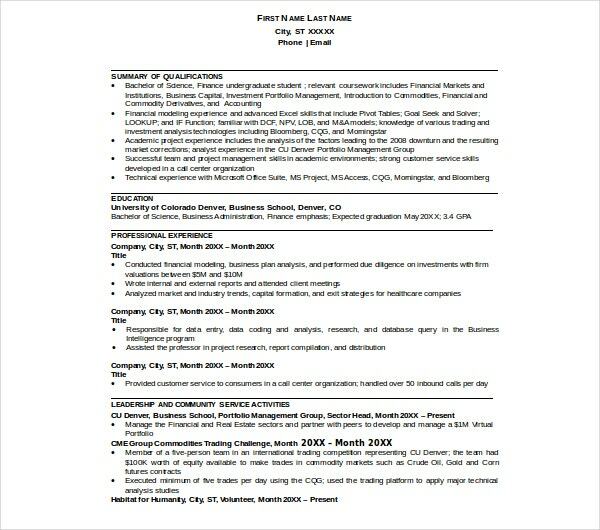 In writing a resume, there are different resume styles to choose from. 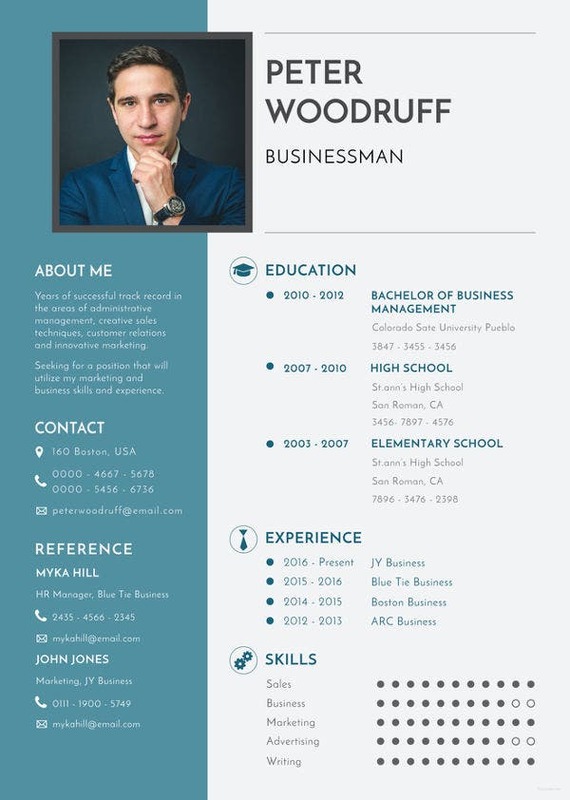 Aside from that, to achieve an effective resume for submission, there are guidelines and sample resumes that would give you ideas on how to prepare your own business resume. Identify yourself and your prime qualification. You can use relevant adjectives to describe your strong personal skill. Limit adjectives to one or two. State the role you are applying for. It is best to specific and simply state the position. State experiences, skills, or knowledge. Limit to two to three relevant experience, skills, or knowledge. An example, for Cashier Resumes, would be the skill of counting money fast or the knowledge ofucdenver.edu basic math. State what you can contribute. This is the most vital information that should be seen on a career objective. Work Experience. This section presents a detailed information about your past job experiences. Indicate job description and corresponding responsibilities. Skills and Abilities. 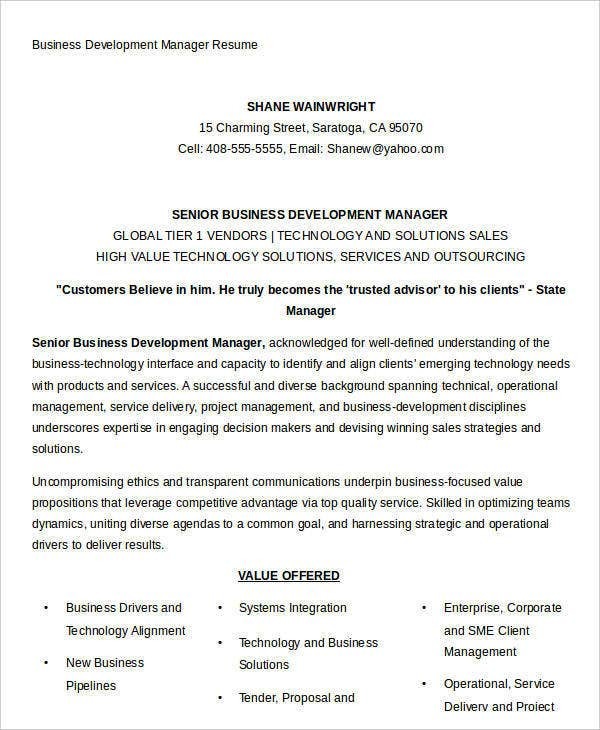 The skills you have related to the position you are applying for comprise this part of the resume. Examples are computer skills, technical and design skills, and language skills. Contact Information. Although it is often overlooked, this section is an important part of a resume. An email address and a contact number is enough information for the employer to know how to contact you. 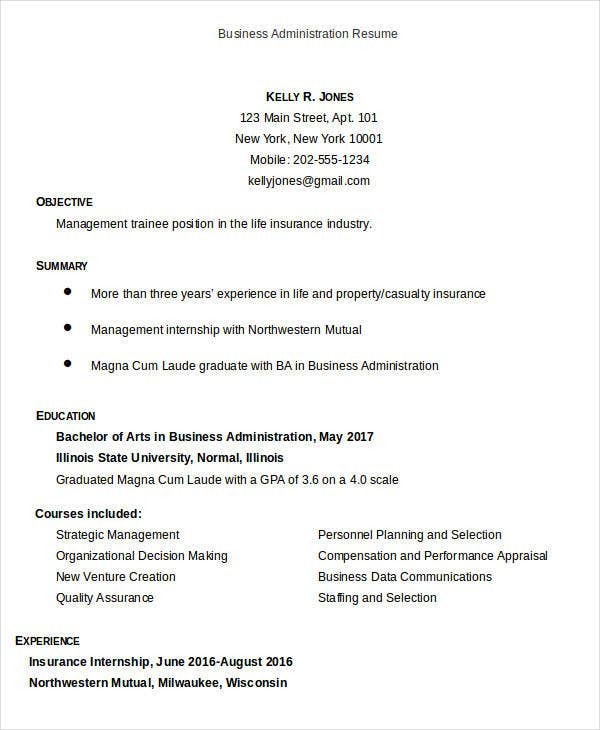 Basic Resumes and College Resumes usually have this section of the resume. Professional Title. Indicate your professional title below your contact information and just above your career objective. By providing the title, the person who sees your resume would know clearly the position you are seeking for. Achievements. Along with your job descriptions, state the accomplishments you have made. This will help the employer see whether your capabilities coincide with the needs of the company and the job position. Metrics. The quantification of your achievements will aid employers in deciphering the depth of your capabilities. They will better know your strengths. Certifications and Credentials. If you have certification that will serve as an asset in your role, include the acronym after your name. Use the credentials that are only relevant to your current career goals. Have a tailored resume. The employers will see clearly your smart goals and your expertise if you have a tailored resume. 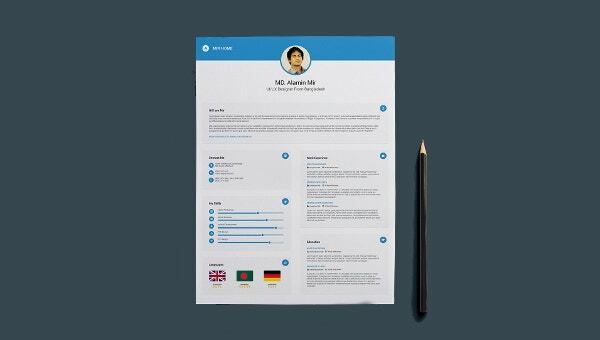 Make resume visually pleasing. 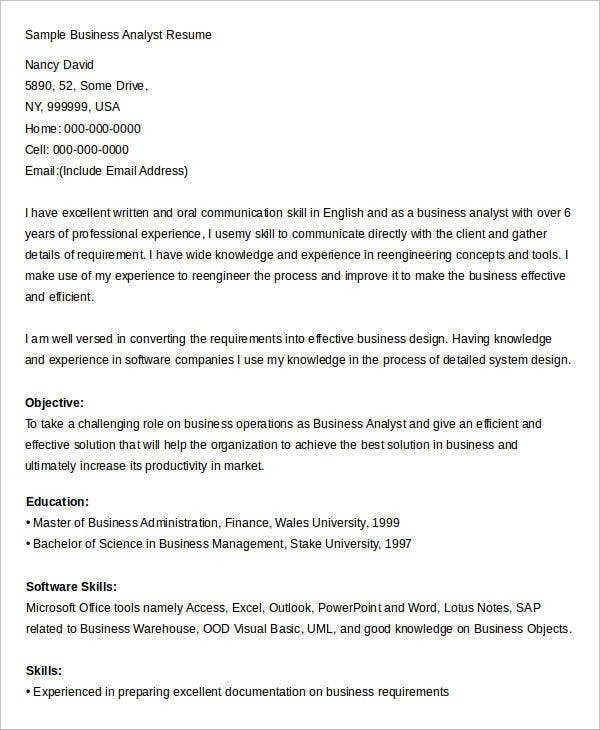 A resume should be clean, concise and simple in structure. Have a complete resume. Be sure that the needed relevant information are all presented in your resume. Accuracy on a resume. Information provided under your job experiences should be correct and stated clearly. 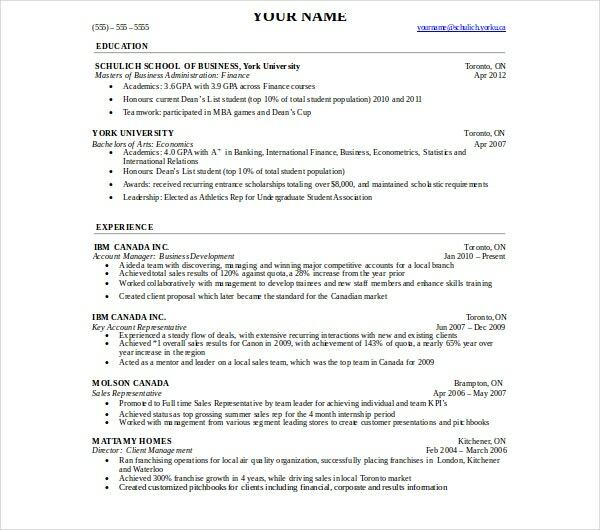 Resume has only one focus. Your resume should present a crisp description of all the things you can do with relevance to the career goal. 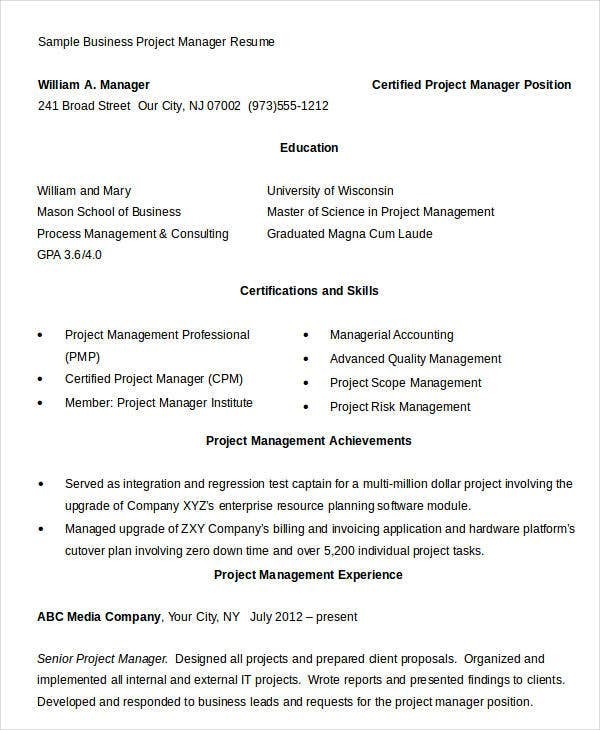 Professionalism in your resume. 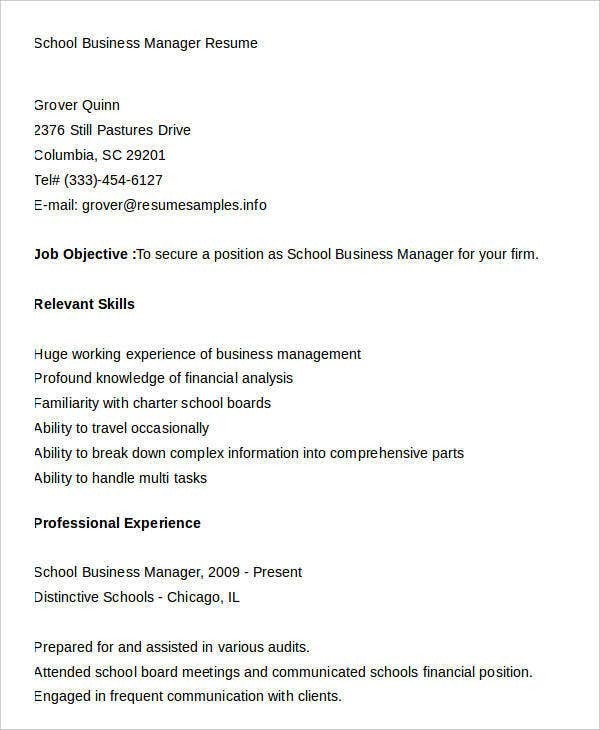 When preparing for a resume, be professional in terms of layout and paper as well as content. 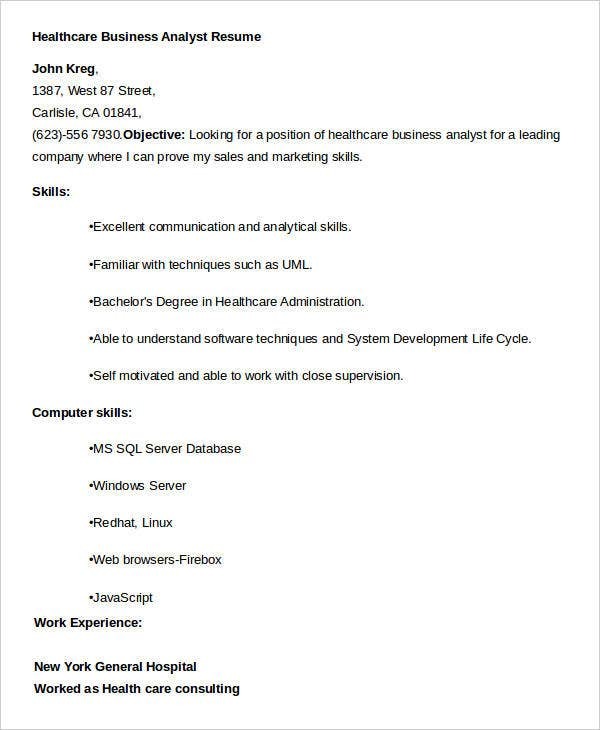 Do make your resume scannable. 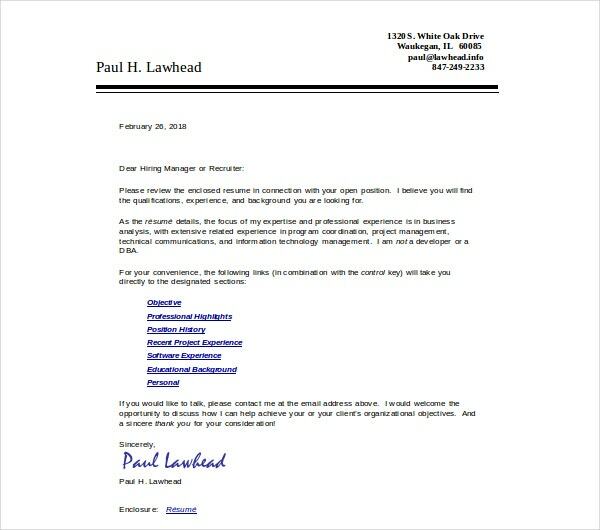 Deliver information on your resume using short sentences instead of longer bodies of texts. Don’t exceed two pages in making a resume. Stick to two pages maximum in writing your resume even if you still have so many experiences to put. Choose the most relevant to your current career goal. Do Proofread. 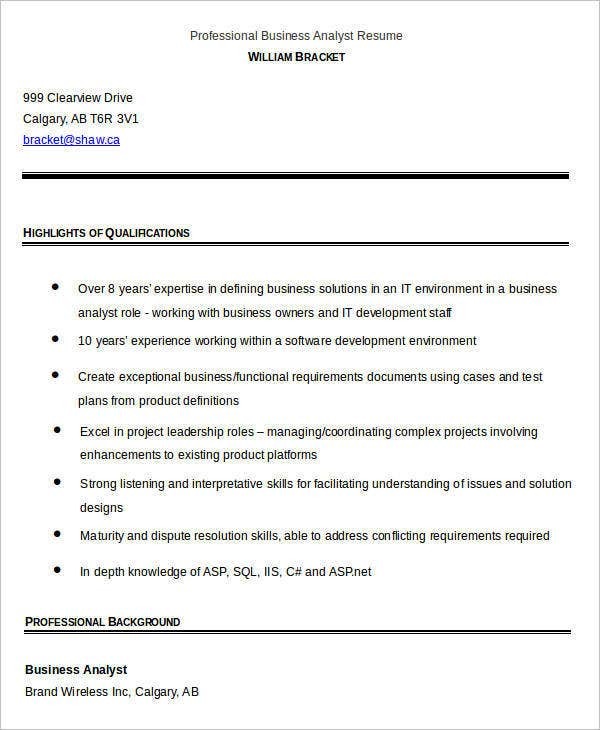 Grammatical errors should not be present in your business resume as the entirety of the document will represent you and your desire to be an employee. You should make sure that your resume can leave a positive impact on your prospective employer so proofreading the entire document is truly essential. Don’t Lie. Never lie on your resume just to make a good impression. You will get into more trouble rather than approval. Do make sure to keep a print and an electronic copy of your resume. You never know on what formats the employer would require you to give. So, just be prepared for everything. Don’t forget to keep your resume up to date. Be sure to keep your resumes updated. 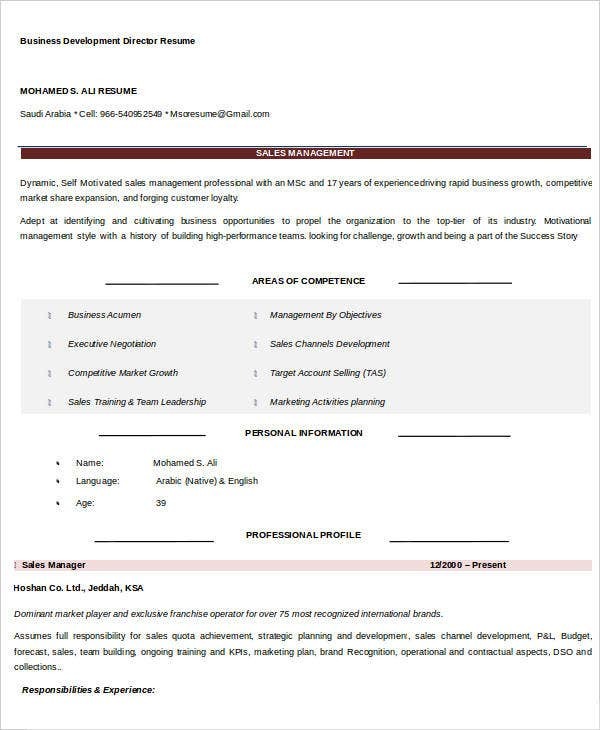 Business Resumes have something in common with Agriculture Resumes and Internship Resumes—all these resumes should be properly written and formatted for you to be able to get a good impression from the person who is going to browse through the resume. By effectively writing your business resume, you will be able to show that you are capable for the job and achieve your career goal.